The evening of day 2, DHM (Disaster Mental Health) workers were asked to attend the vigil for Sean Collier, the MIT police officer killed on MIT’s campus last week. His hometown put this event together in eight hours to honor him. As a Red Cross worker I am becoming very familiar with vigils and memorials for fallen police and firefighters. on national disaster responses (DRs) and in Philadelphia. I feel comfortable attending these events since while, we are not first responders, we work in cooperation with them everyday. The short life of this police officer was remarkable. Sean’s mentor spoke of his desire to be a city police officer. Several days before his death, Sean was offered a local position and he was to start on June 3rd. The American Red Cross was here as a presence to witness his life. Over the past two days, I have been working directly with families of the victims. Coordinated services to them are being delivered in an undisclosed location to ensure their privacy. This closely guarded environment affords these families the opportunity to register for a variety services being offered to them locally and nationally. 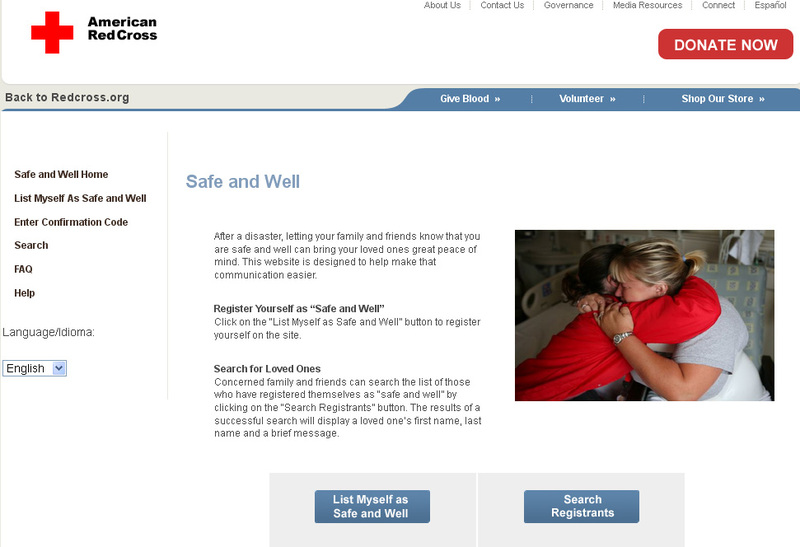 The American Red Cross is one of those services. Last Friday (April 19) I was deployed to Boston as a disaster mental health worker. We entered Boston shortly after the city wide lockdown was lifted. A city wide lockdown is a very new experience to disaster relief. No one including Red Cross disaster workers could leave their homes, hotels, etc…On day two, the city returned to new normal with the presence of military personnel in military transport vehicles on every corner of the downtown area. Police personnel from many states as well as FBI, Homeland Security, and National Guard were everywhere. It was a very different feeling than my typical disaster responses. Whole areas of Boston were shut down because they were FBI crime scenes. Whole blocks were evacuated and residents could not return home. A Memorial developed on blocks close to the marathon site and on MIT’s campus. The local volunteers from the Boston chapter of the American Red Cross was very Involved in the mental health response as well. It was wonderful to be paired with a local person as we worked on outreach activities. On this response, everyone has been impacted. This is so different from our usual experience in the Red Cross. No one in this area is untouched. 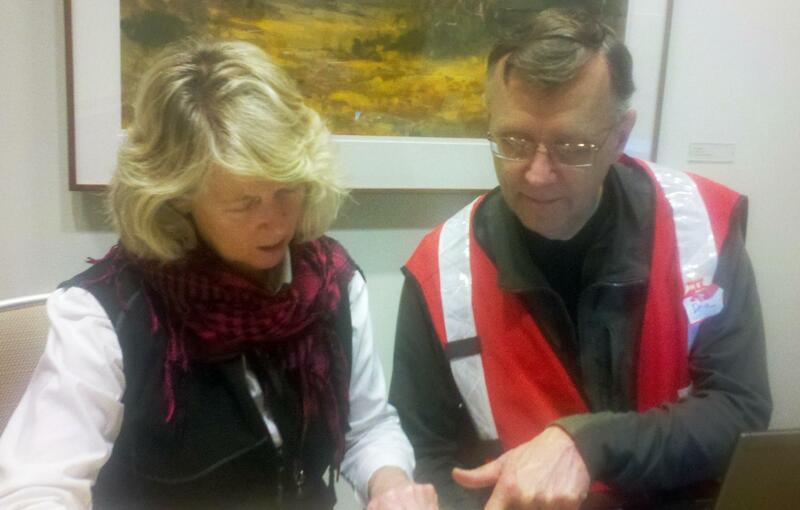 On day two I was assigned to work with Boston marathon volunteers who are gathering to work through their experience. While the event was scheduled for three hours we stayed for six. Their overwhelming feelings filled the room and it was difficult to remain dry eyed. These people volunteered for this event for years and have always had a feeling of great joy working this event. Medical volunteers who came to help runners with injuries, dehydration and exhaustion found themselves in trauma/triage mode. While their training pulled them through to accomplish the task, their emotions were atypical and the joy of their yearly event turned into overwhelming sadness. 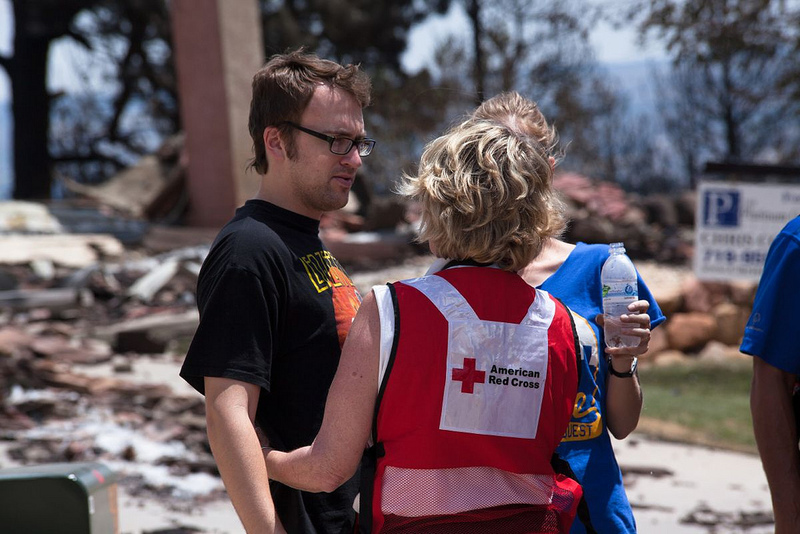 Danelle, pictured here in July 2012 while on deployment in Colorado, providing mental health services to a man who’s home was destroyed by a wildfire.